How to watch Black Butler: Season 3 (2014) on Netflix USA! Sorry, Black Butler: Season 3 is not available on American Netflix, but you can unlock it right now in the USA and start watching! With a few simple steps you can change your Netflix region to a country like Germany and start watching German Netflix, which includes Black Butler: Season 3. We'll keep checking Netflix USA for Black Butler: Season 3, and this page will be updated with any changes. 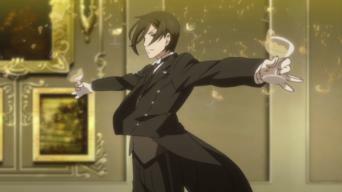 Black Butler: Season 3 is not available in USA BUT it can be unlocked and viewed! Season 1 of Black Butler has 25 episodes. Because different Netflix countries have different availability for episodes, you'll need to check the episode listing below to see which are available in the USA. The Phantomhive estate bustles with preparations for an important meeting between the Young Master and a slithering captain of industry. The maid, the gardener and the cook are fools, but the Butler is a man of hidden talents. 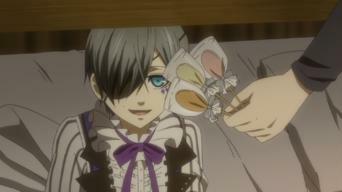 When the Young Master's financée drops by for an unannounced visit, the Phantomhive Estate experiences a sickening outbreak of "cuteness." 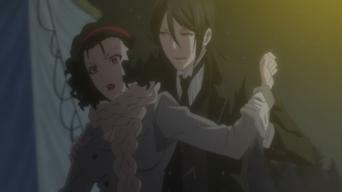 Meanwhile, the Butler has his hands full with a suicidal apprentice. The Butler and his Young Master scour the seedy back alleys of London in search of an infamous butcher. Imagine their surprise upon discovering that the ripper may actually be a reaper! The Young Master's latest acquisition is a haunted camera that can photograph beings not of this world. Calamities are sure to follow when the servants set out to snap a shot of the elusive Butler. There's a potent new drug plaguing the backstreets of London, and it's being sold in stolen Phantomhive candy wrappers. The Young Master is being set up, but what manner of man wants him to take the fall? While the Young Master continues his investigation into the opium-filled counterfeit candy wrappers, the Butler is chained and tortured in the Tower of London. 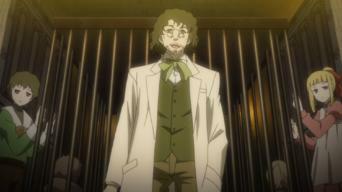 A series of flashbacks reveals the secret pasts -- and hidden talents -- of the Phantomhive staff. While the servants go about their daily duties, the Young Master gives a chess lesson to a pretty lady. The Young Master's journey to Paris leads to another showdown with the Queen's angelic butler and a painful parting of ways with someone dear to his heart. 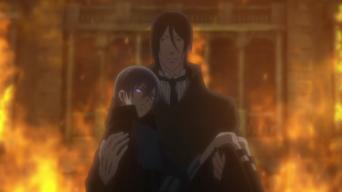 Can Ciel survive without the demonic assistance to which he's grown accustomed? Season 2 of Black Butler has 18 episodes. Because different Netflix countries have different availability for episodes, you'll need to check the episode listing below to see which are available in the USA. Season 3 of Black Butler has 10 episodes. Because different Netflix countries have different availability for episodes, you'll need to check the episode listing below to see which are available in the USA. A guest arrives at Phantomhive Manor with a proposal for Ciel, but it soon becomes clear that the man has an ulterior motive. 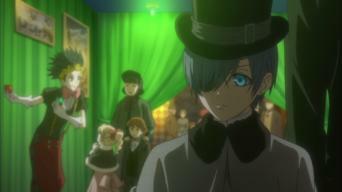 Paired up with other members of the circus, Sebastian and Ciel learn of a plan to collect a large number of souls within the next few days. Sebastian cozies up to Beast in an attempt to find out who's really running the circus. 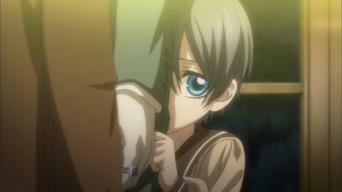 Ciel is plagued by feverish nightmares. After hearing about Ciel and Sebastian, the troupe's leader is eager to meet them, but the banquet he holds in their honor takes a sinister turn. 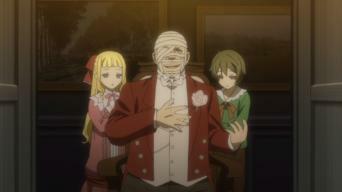 Ciel makes a disturbing discovery about his host. 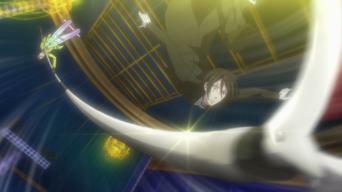 Meanwhile, Grell Sutcliff returns to work, and circus members stage an attack on Phantomhive Manor. 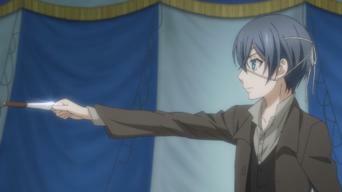 Doll confronts Ciel and Sebastian after discovering what they've done. The full story behind Kelvin's strange circus finally emerges.